At least 288 Rohingya villages in Burma’s Rakhine state have been partially or totally destroyed since violence in the area worsened at the end of August, according to Human Rights Watch (HRW). Analysis of satellite images suggests tens of thousands of homes have been razed amid violent clashes that have been blamed mostly on the Burmese army. Many of the buildings were destroyed after Burmese officials claimed they were no longer carrying out “clearance operations”, the charity said. 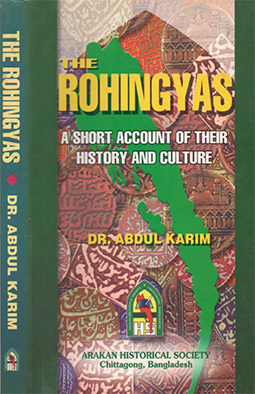 Images also suggested that villages belonging to the country’s Rohingya Muslims were destroyed while nearby areas occupied by non-Muslims were left largely untouched. In villages of mixed ethnicity, Rohingya homes were burned to the ground while others were left intact, it added.Burmese officials have accused the Rohingya of setting fire to their own villages but international observers say there is overwhelming evidence that the atrocities were committed by the country’s military forces. Burma’s leader, Aung San Suu Kyi, has claimed operations by security forces ended on 5 September but HRW said at least 66 villages have been destroyed since then. Ms Suu Kyi has faced widespread condemnation from the international community over her failure to speak out about violence against the Rohingya. The latest round of violence erupted on 25 August, when Rohingya militants attacked more than 20 police outposts in Rakhine. The military response of Burmese state forces has forced almost 600,000 Rohingya to flee the country, mostly into neighbouring Bangladesh, and reportedly left thousands dead. Phil Robertson, HRW’s deputy Asia director, said: “These latest satellite images show why over half a million Rohingya fled to Bangladesh in just four weeks. “The Burmese military destroyed hundreds of Rohingya villages while committing killings, rapes, and other crimes against humanity that forced Rohingya to flee for their lives. 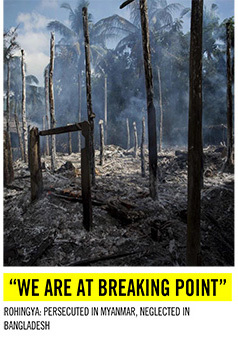 According to HRW, the worst destruction was in Rakhine’s Maungdaw township, where most of the violence took place. There, around 62 per cent of all villages were either partially or totally destroyed in just one month between 25 August and 25 September – a figure that rises to 90 per cent in the southern part of the area. In the majority of villages, between 90 and 100 per cent of buildings were destroyed. 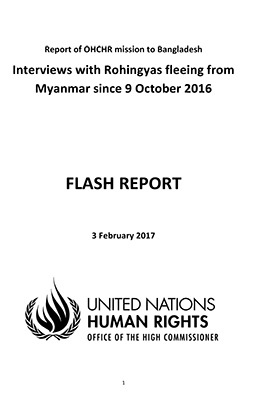 ​HRW demanded the UN Security Council impose an arms embargo on Burma and implement individual sanctions on the military leaders that are believed to be responsible for the abuses. It comes as the UN said up to 15,000 Rohingya refugees had entered Bangladesh via one border crossing point since Sunday – many of them having walked for a week to flee Rakhine after their homes were set on fire. UN officials said thousands of refugees are living in rice fields near the border while they await permission to enter Bangladesh.